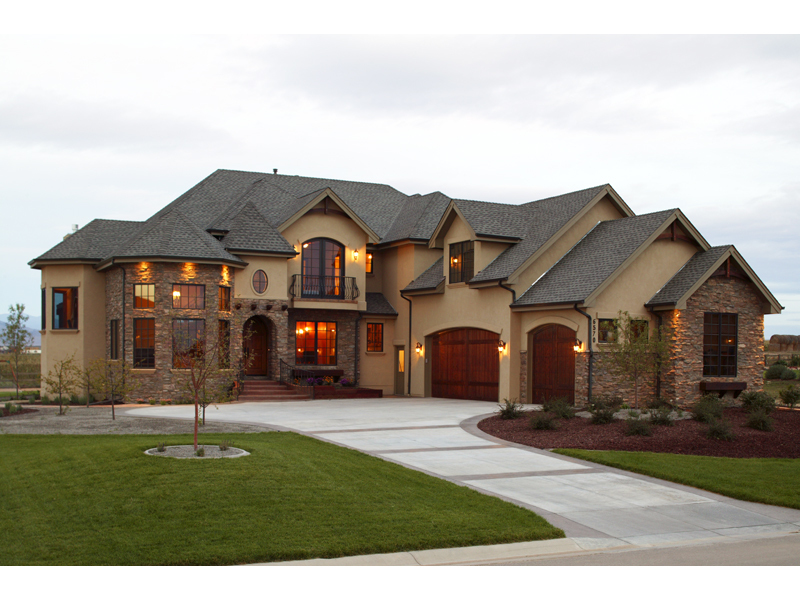 The Murillo Rustic European Home has 4 bedrooms, 3 full baths and 1 half bath. Sliding pocket doors close off the study from the welcoming foyer for privacy. The large rear deck includes an excellent outdoor kitchen and shares a see-through fireplace with the indoor breakfast nook. All of the bedrooms are located on the second floor for privacy. The amazing master bedroom boasts a vaulted ceiling and a private deluxe bathroom. The Murillo home plan can be many styles including Contemporary House Plans, Country House Plans, European House Plans, Luxury House Plans, Tudor House Plans and Victorian House Plans.